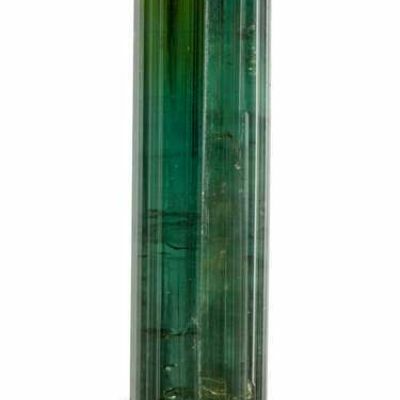 Lustrous and translucent, this beautiful elbaite crystal is a polychrome delight. 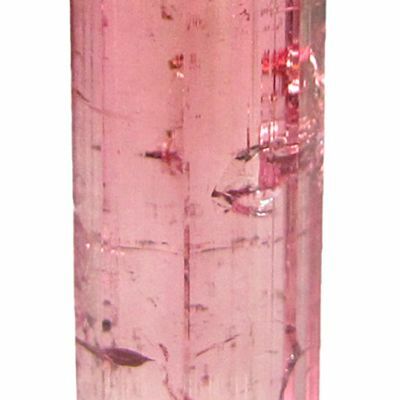 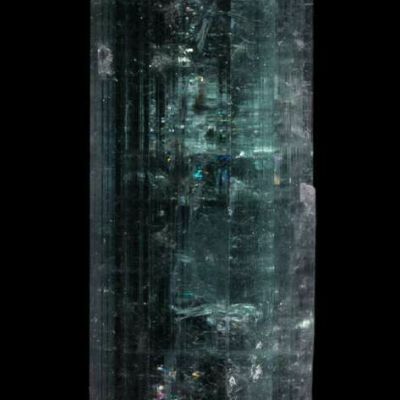 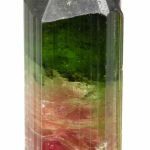 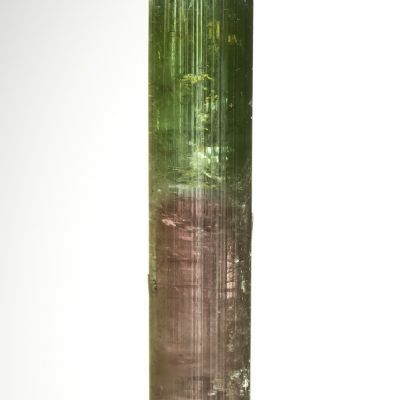 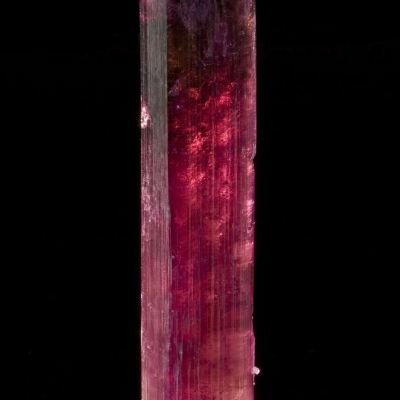 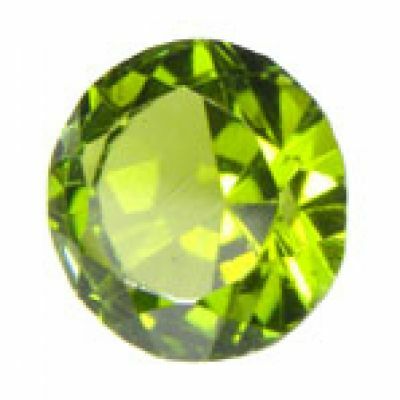 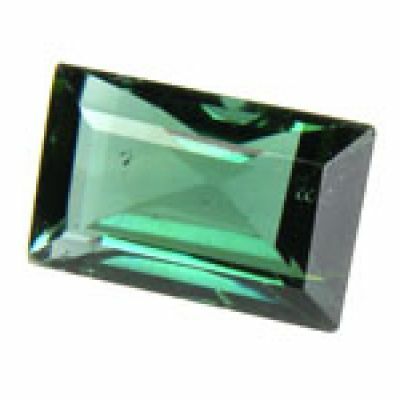 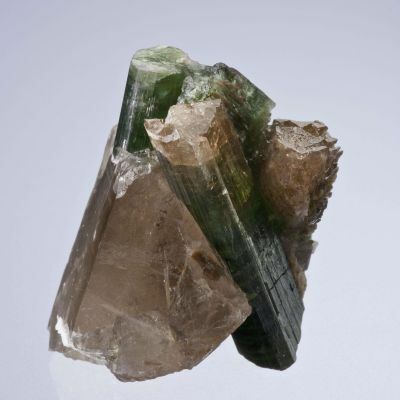 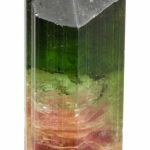 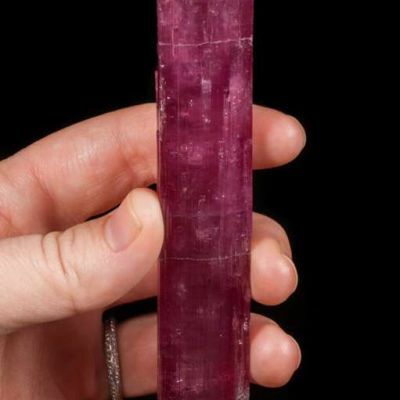 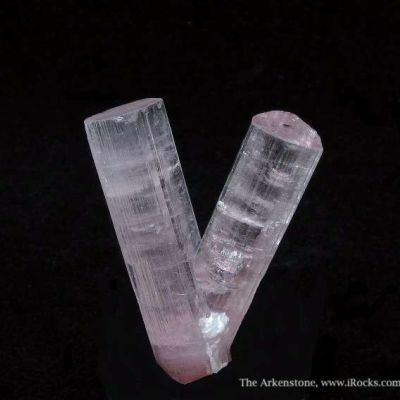 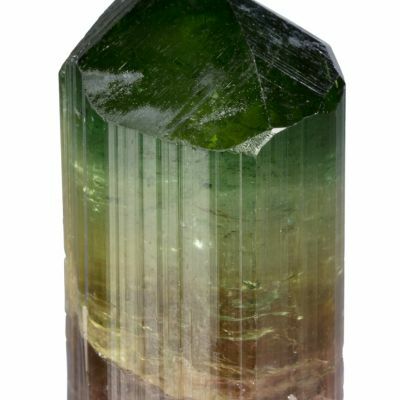 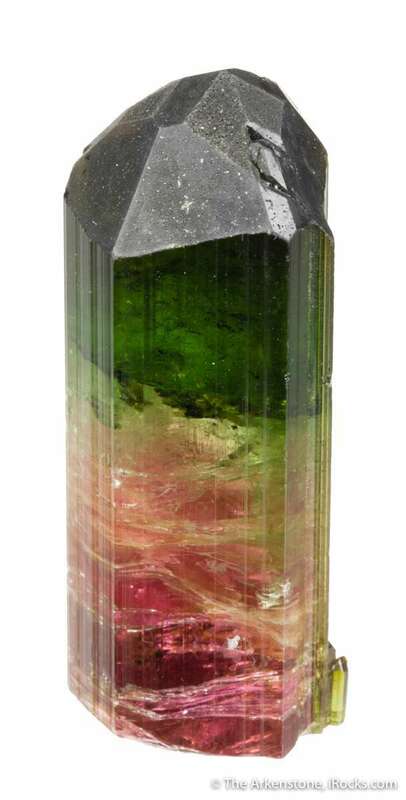 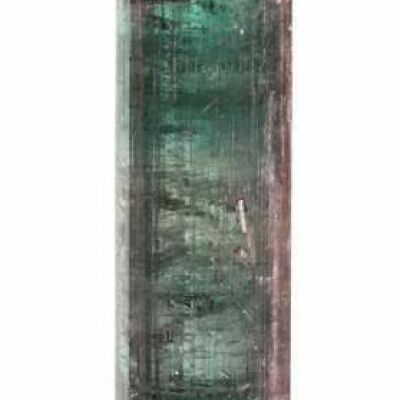 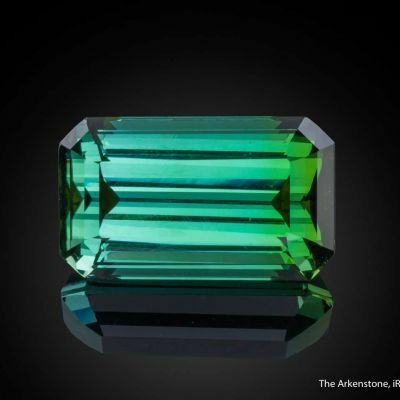 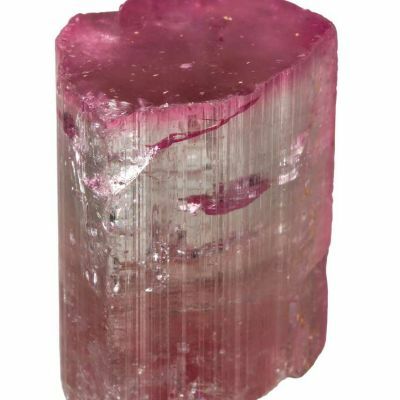 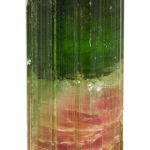 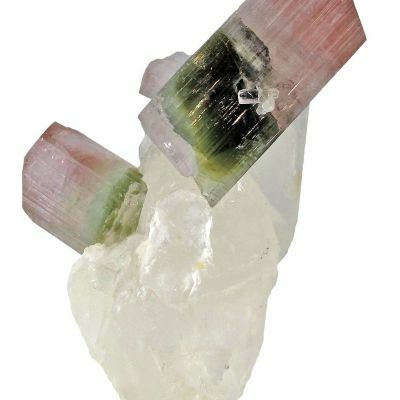 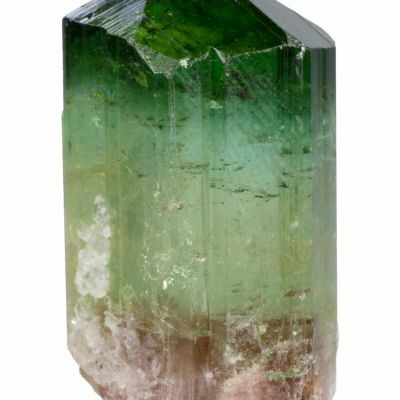 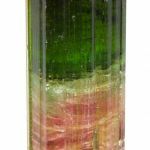 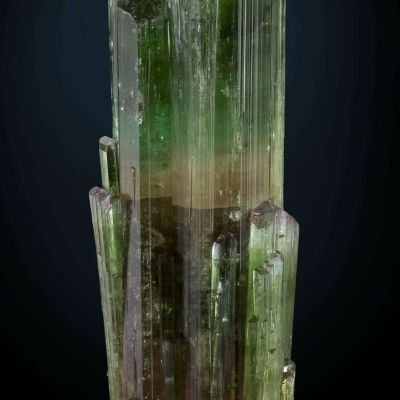 The bottom third of the crystal is rose pink, the middle third, bright emerald green, and the top third graduates from lighter to blackish green. 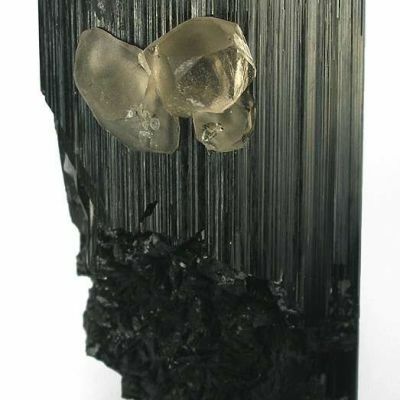 The termination itself is an opaque, matte black. 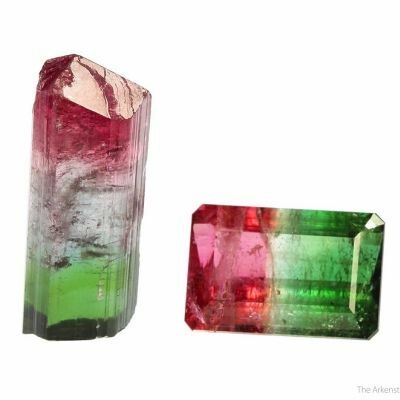 A choice, colorful elbaite! 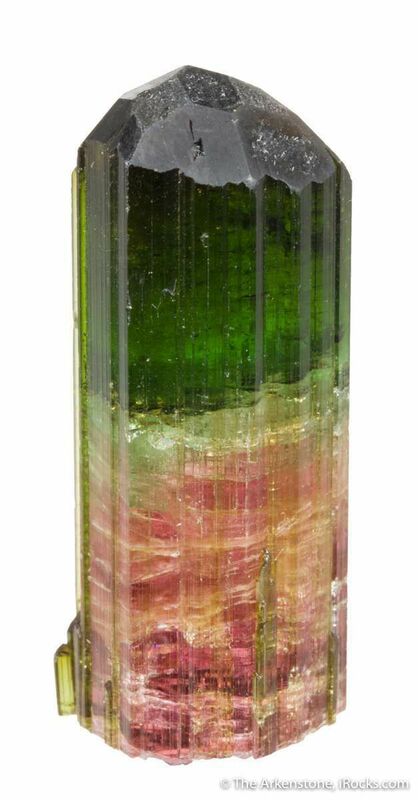 Ex Steve Smale collection, purchased in Brazil in the late 1980s or early 1990s when he was a resident professor there. 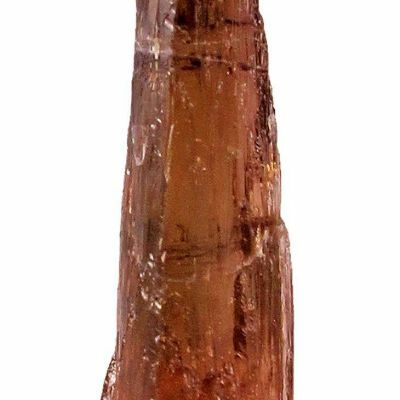 25 grams in mass.